Former UFC fighter Scott Smith (14-4), who signed a long-term contract with Elite Xtreme Combat earlier this month, scored a quick knockout of Jeff Morris (4-4) at Saturday’s Gladiators Challenge event in Sacramento, Calif.
Smith’s 22-second victory took place in the main event of the nine-fight “High Noon” show, which was held Dec. 22 at the Memorial Auditorium in the Sacramento Convention Center. The victory pushes Smith’s record to 14-4, which includes 12 first-round stoppages. All his victories have come via stoppage, in fact, and 12 have come in the form of a knockout or technical knockout. 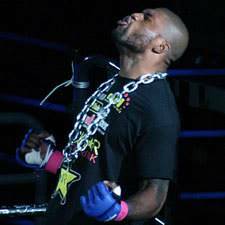 Smith is perhaps best known for his stint on a special “comeback” season of “The Ultimate Fighter” in 2006 and a subsequent knockout of opponent Pete Sell at the show’s live finale. After wincing and backpeddling from a body shot, Smith looked injured, and his opponent charged in to finish off his opponent. However, Smith unloaded one final punch, which floored Sell for a knockout victory — one of the best of 2006. ProElite Inc., the parent company of EliteXC, touted the performance in its official press release regarding Smith’s signing earlier this month. Terms of the non-exclusive deal were not released. In subsequent UFC fights, Smith dropped a unanimous decision to Patrick Cote at UFC 67 and a second-round submission loss to Ed Herman at UFC 72. He was apparently dropped by the organization after the losses. I'm glad to see Smith represent, gotta love a local guy knocking fools out! always been a scott smith fan. he always brings it.